‘Anmeldung’ means ‘to register’ in German. It's basically the fact of registering your residence in Germany. If you plan on working or attending a College/University, you are required by law to register your residence in Germany. This is achieved by submitting in person an Anmeldung form (Anmeldeformular) to your local registration office called ‘Bürgeramt’, ‘Bürgerbüro’ or even ‘Kundenzentrum’. 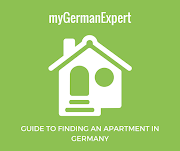 This is required for any change of address and needs to be done within 14 days of relocating to your new German address. If you don't register in Germany, you'll not be able to get a residence permit, apply for a tax ID, open a bank account (except with N26) or take out German health insurance. 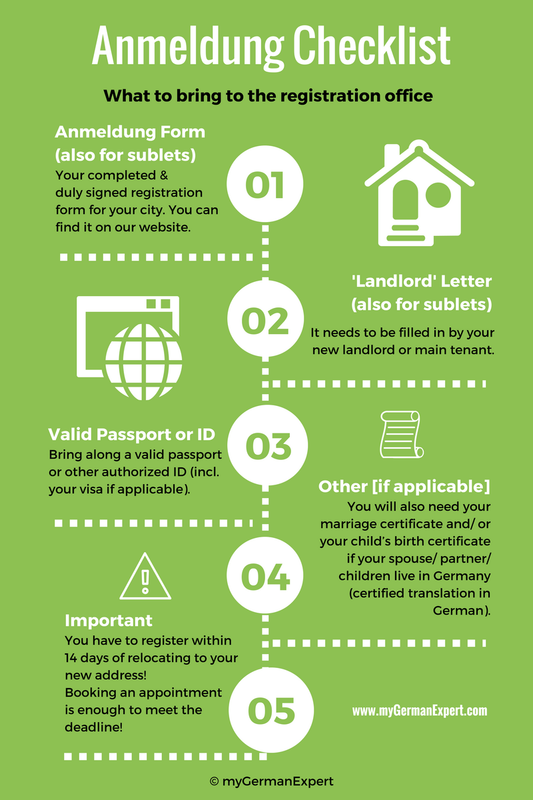 Here below is a checklist on what to bring to the Bürgeramt when registering your residence in Germany. Need more details about the Anmeldung process? Read our Anmeldung Guide in here.